One Month, Weather Permitting, 2009 is a series of photographs of the night sky over Banff, Alberta. 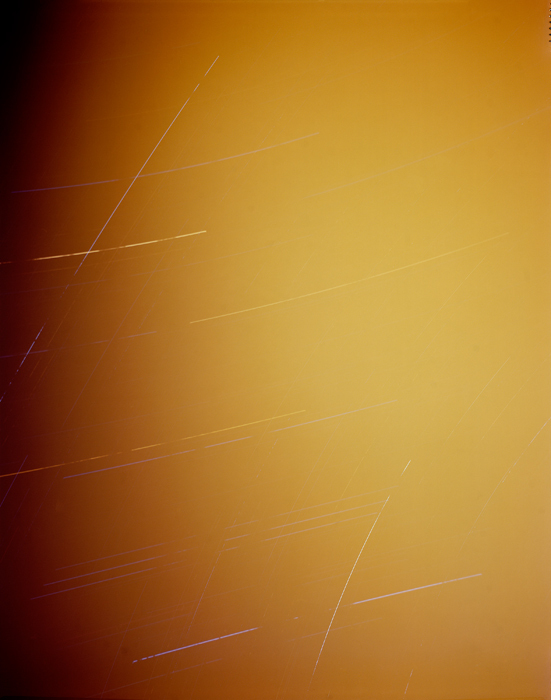 Set up within the framework of an experiment, the photographs capture long-exposure star trails for two or three consecutive nights on a single sheet of film throughout the period of a month. Environmental interruptions, such as passing clouds, light pollution, and light leaks, are all recorded in the process. The set of thirteen images are chance compositions. Chance becomes a metaphor for the sublime, which resists imposed structure and order. 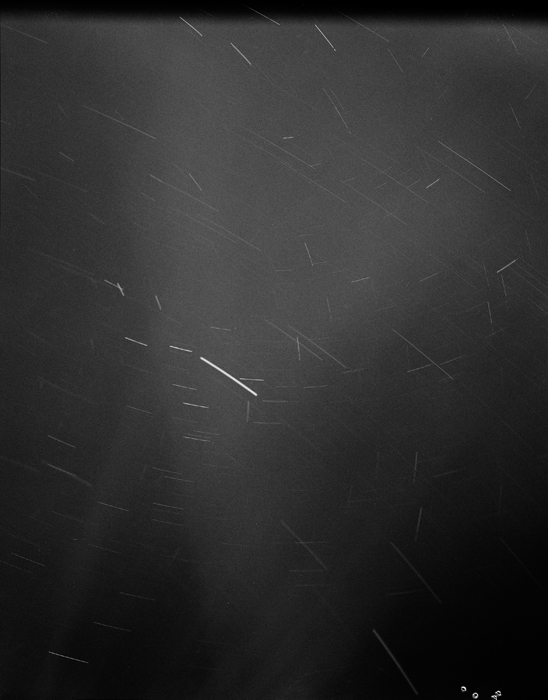 Motivated in part by a desire to find tactile qualities within a realm that is beyond our reach, the photographs register star trails—the most basic photographic artifacts of light and film—that carry the illusion of scratches made directly onto film. 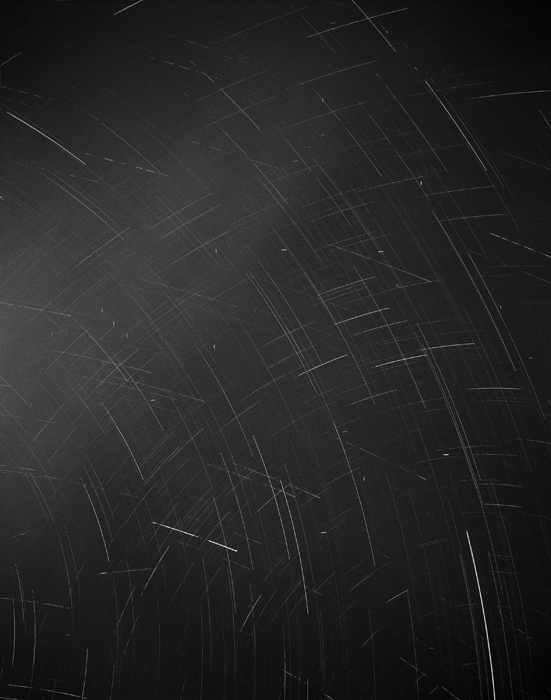 These light trails are outside our perception until the camera intervenes to capture the image. The star trails are exhibited alongside photographs of the surrounding mountains and landscape that were made on mornings when inclement weather the previous night did not permit photography. The landscape photographs ground the work in its own environment, and refer to 19th century photographic ideas of the sublime. This history is continuum and a counterpoint to contemporary sensibilities and possibilities envisioned in the star trail images. The images within this series were all made on 4x5 color transparency or 4x5 black and white negative film. The original film is scanned and all prints are 30” x 40” Harman fiber base prints. Sharon Harper is a Somerville, MA based artist and is an Assistant Professor at Harvard University. To view more of Sharon's work, please visit her website.